Alejandro Pozuelo had a debut to remember as he scored two goals and assisted once en route to a 4-0 win over New York City FC. TFC could have won the game by a larger margin if it was not for a few disallowed goals in the first half and another couple chances throughout the match. Their first chance came in the 7th minute when Pozuelo played a through-ball to Jozy Altidore whose shot was saved by New York keeper Sean Johnson. Jonathan Osorio decided to not shoot on the rebound but instead passed to Justin Morrow who shot it high over the net. Morrow thought he redeemed himself in the 9th minute as his deflected shot went in, but Nick DeLeon was judged offside when he sent the initial cross into the box. The goal was ruled out when the referee went to VAR (Video Assistant Referee) and overturned his decision. Another goal was ruled offside in the 24th minute when DeLeon’s shot redirected off Pozuelo and in. TFC finally broke through in the 29th minute when Pozuelo brought the ball into the opposing half, passed to Jonathan Osorio and continued his run as the Canadian midfielder played the Spaniard into the box who danced his way around a couple defenders passed across goal to Jozy Altidore who calmly put the ball in. Pozuelo almost put his new team 2-0 up in the 42nd minute when he cut inside and unleashed a shot with his left foot that Johnson parried over the bar. NYCFC had a chance two minutes into the second half when Romanian Alexandru Mitriță’s shot was saved by TFC keeper Alex Bono. Pozuelo won a free kick outside NYCFC’s box a couple minutes later but went just wide of the goal. New York came close to tying the game in the 52nd minute when Jesus Medina’s shot hit off the post and Mitriță’s rebound was saved by Bono. Altidore won a penalty for his team in the 56th minute when he was dragged down by defender Alex Callens. 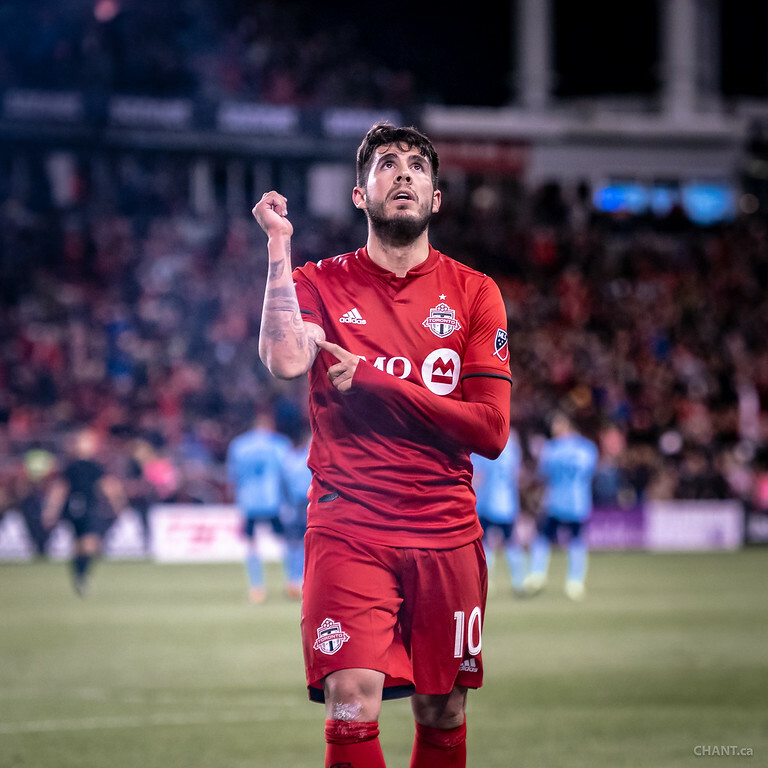 Pozuelo had a chance to score his first goal as a Toronto FC player, and no one expected how he shot the penalty. Pozuelo scored his second of the match in the 78th minute with an audacious left-footed chip inside the penalty area. Substitute Jay Chapman added a fourth goal in the 83rd minute. This is the first time in franchise history that TFC have started the season with three straight wins. They will look to make it four wins from four games when they host the Chicago Fire on Saturday at 3 p.m. Previous PostWhat is the deal with IGNITE’s budget?